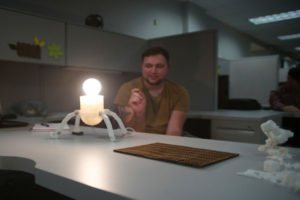 During this past fall semester, Windham Graves instructed his class, Digital Fabrication, at Florida State University’s Facility for Arts Research (FAR). The class utilized the CNC router, 3D printers, as well as the Epilog Laser cutter. The objective of the class was to introduce modeling, simulations and the physical realization of digital forms through the use of CNC techniques and associated software applications. 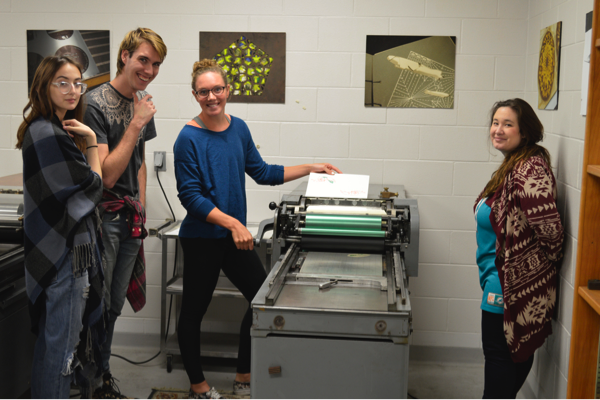 Small Craft Advisory Press Manager and Artist in Residence, AB Gorham, also brought her Structural Book class out to FAR this fall. 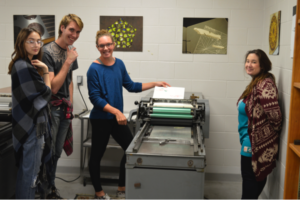 The students designed and letterpress printed a Florida themed holiday card, and additionally had the opportunity to tour the FAR facilities and view the SCAP artist’s book archive. This month, Vamp & Tramp, Booksellers, LLC is featuring two of SCAP’s pieces in their online catalog. Cropwork Orange and Music for Teacups were both created at FAR in 2012.